My name is Jason Cormier, and I am the Editor of Odd-Bike.com, an independent website that specializes in the profiling of rare and unusual motorcycles. I've long been a passionate motorcycle rider freelance writer, and OddBike is the culmination of my passions and skills as well as an archive of some of the rarest, most unusual and fascinating two-wheeled machines that have ever put rubber to pavement. As I am a historian by education and a mechanic by hobby, I pride myself in writing detailed profiles that detail the historical context, cultural impact, and technical information of these interesting motorcycles. I maintain OddBike in my spare time as a non-profit website that is free of sponsorship or advertising. I believe this allows me to write without hindrance and without anyone to answer to, and my articles reflect this freedom. However for certain (more ambitious) projects I require funding from you, my readers and supporters. - A visit to the Motus Motorcycles factory in Birmingham, Alabama. - A stop at the Barber Motorsports Museum in Birmingham to cover the 9th annual Barber Vintage Festival. - A visit to Bienville Studios in New Orleans, Louisiana to interview motorcycle designer JT Nesbitt about his upcoming Bienville Legacy project. This journey will be undertaken in mid-October 2013 and will take approximately two weeks, round trip. 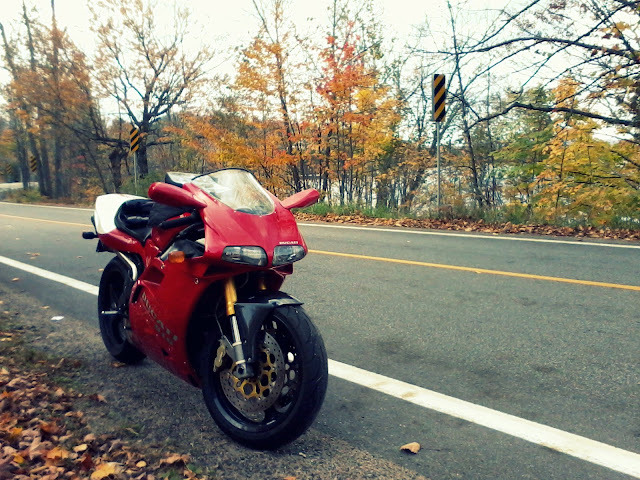 I will be using my personal 1997 Ducati 916 to perform the journey. It may not be the most appropriate touring rig, but it has served me well over the years and I wouldn't do it on anything else. I will maintain a travelogue of the journey on the OddBike Facebook page, with the intent of eventually writing a detailed ride report. This journey is more than a simple trip across the USA, it's an opportunity for OddBike to grow by showcasing several unique independent motorcycle projects that have been under-represented in the traditional motorcycle media. I aim to correct that with my own blend of intelligent technical analysis and insight into motorcycle history and design. And I feel the best way to do this is to meet with the individuals in person and examine their projects first-hand. It really is that simple. I am only seeking the funding I need to complete this trip, which will be a round trip of approximately 5000kms over a period of two weeks. If you can't contribute monetarily, I would greatly appreciate if you shared my campaign and OddBike via social media, and of course I encourage you to read my writing and contribute your opinions on Facebook and the OddBike website.